Hello again, welcome to another round-up of my PG Tips for up-and-coming comics, graphic novels and manga that I am looking forward to. 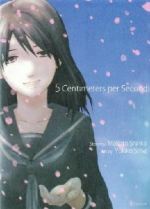 Among the special titles are translations of top-class graphic novels from French, Danish, Italian, Japanese and Balkan comics creators. I’m particularly buzzed that The Red Diary by Teddy Kristiansen, whom I interviewed at the Komiks DK festival in Copenhagen, is finally, finally coming out in English, flip-booked with an intriguing alternate version by Steven T. Seagle. And look out for debut books by promising, precocious Anglophone tyros Kaczynski, Vidaurri, Winterhart & Zettwoch. We’ll have to see how penetrating and uncompromised a job Larry Tye makes of his new Superman biography. And I’ve picked an unpublished Steve Gerber Man-Thing story illustrated by Kevin Nowlan, as this actually sounds hopeful, certainly more so that Marvel’s latest further resurrections of supposedly dead characters and concepts, Phoenix and Captain Marvel. While some myopic publishers can’t stop latching onto Mars Attacks, Pantha, The Bionic Man, Strawberry Shortcake (errr…), or another creaky, unneeded franchise from yesterday, to foist upon us, aren’t you glad that there are people like these below, investing real passion and originality to this amazing medium. For every action, there is always an equal and opposite reaction. The author of the mysterious Britten & Brulightly brings us a haunting new tale. All people could do was speculate on the fate of those who vanished - strangers, seemingly random, unconnected, all plucked from their lives and never seen again. The notes found left behind, apparently describing some slender reason for their removal, were all that linked them. They were all delivered by one man. Rodney Moon had admitted seeing those who had been disappeared and to passing the notes, but denied any involvement beyond that. Who wrote the letters, then? Moon shrugged during the trial: “It has no name,” he said. “It’s a bogeyman. A monster.” He was not mourned when the vengeful bereft finally found him. Some years later, four strangers, seemingly random, unconnected, all take the last train home. But something each of them has forgotten - or is trying to forget - is catching up with them; with a terrible, inexorable purpose. The devil is in the detail, as they say. 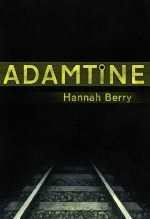 Read Hannah Berry’s online Director’s Commentary on Adamtine with sample pages. 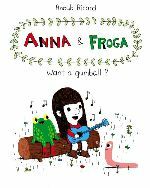 Anna & Froga: Want A Gumball? Anouk Ricard’s Anna & Froga features the adventures of a little girl named Anna and her gang of animal friends. Anna’s best friend is the titular Froga, and they often hang out with Bubu the dog (an aspiring artist), Christopher the gourmand earthworm, and Ron (a practical joker of a cat). With a sly humor, Ricard spins yarns that will delight and entertain the whole family. Whether the conflict is driven by eating too many French fries, bossing around Johnny the Tuna, or trying to beat a difficult video game, you know that Anna, Froga, Bubu, Ron and Christopher will come out all right in the end, which makes the layers of confusion they pile on one another all the funnier. Ricard’s characters are sweet without ever veering into preciousness, as they constantly find opportunities for a laugh at one another’s expense. Anouk Ricard works in a fanciful and childlike style, with vibrant colors and simple storylines. The illustrations in Anna and Froga are inviting and the stories well told, employing short, snappy dialogue. Without sacrificing quality, intelligence, or humor, Angoulême Festival-nominated author Ricard is able to write from childhood effectively and charmingly. Read a pdf preview here. I nominate Anouk Ricard to redraw all of reality itself; so that we may live in a world where every line and every sentiment convey beauty, humor, and/or insanely cute perfectly designed dogs. Anna & Froga are the pals we wish we’d had when we were kids. Their adventures are certain to brighten our days as they never fail to make us giggle. Beautiful, touching and hilarious, Anna & Froga is the must-book for all little and big kids. Gathering together the work of close to twenty contemporary Balkan women, Balkan Comics: Women on the Fringe introduces the English-speaking world to some of the worlds finest, and least known, comics artists. Featured artists include Helena Klakocar Vukic, whom Marjane Satrapi cited as an influence in the creation of Persepolis; Nina Bunjevac, who has a cult following in Canada and the United States; and Irena Jukic Pranjic, whose comics and animated features and have multiple awards in Croatia and Europe. They, and the rest of the women in this book, create sparsely executed, edgy work unflinchingly depicts what it is to live as a woman in the Balkans now. Balkan Comics: Women on the Fringe includes many first-time English translations, and is presented in an attractive, chunky format that will appeal to fans of comics and literary graphic novels alike. While Tom Kaczynski’s comics share many of the obsessions found in the prose work of J.G. Ballard, with riffs on dystopian modernity, bleak man-made landscapes and the psychological effects of technology, Kaczynki’s visual storytelling adds an architectural dimension that the written word alone lacks. 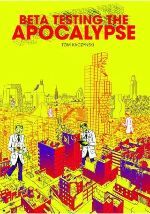 Beta Testing The Apocalypse includes 10 short stories, depicting the immense political and technological structures and spaces we inhabit that subtly affect and define the limits of who we are and the freedoms we presume to enjoy. Tom Kaczynki is a new, unique voice in the comic firmament. Read a Comics Journal interview with him here. It’s a story line we know all too well: “A mysterious stranger comes to town.” Only the town is not really a town and the stranger is a gigantic cell-phone tower. The town is Birdseye Bristoe, a portmanteau created from an interstate sign that points to two real towns, and it has only one real permanent resident, an old-timer known only as Uncle. A confirmed bachelor and World War II veteran, he owns most of the real estate in town. His teenaged great-niece and -nephew visit occasionally, though the town doesn’t have much to offer apart from an adult superstore, a gas station, and a tackle shop. Uncle reluctantly agrees to lease his land to a conglomerate of telecommunications carriers, and sets the somewhat random condition that the tower be built with a huge crossbar set horizontally into the mast, making it also the world’s largest cross. 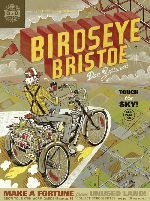 Birdseye Bristoe begins with the destruction of the cell tower and works backward to unravel the story of its fall. See sneak peaks here. ‘When someone looks back and writes a history of this summer, two people they will almost certainly leave out are Sue and Daniel Bagnold…’ So begins Joff Winter-hart’s sublimely funny and perceptive graphic novel, Days of the Bagnold Summer. Sue, 52, works in a library. Daniel, 15, is still at school. This was the summer holidays Daniel was due to spend with his father and his father’s pregnant new wife in Florida. When they cancel his trip, Sue and Daniel face six long weeks together… Joff Winterhart perfectly captures the ennui, the tension, the pathos and yes, the affection of this mother-son relationship. Already well-known for his animated films like Violet and Turquoise, he here shows himself to be a comics author of extraordinary talent. Joff Winterhart is an illustrator, film-maker and plays drums in his band, Bucky. He lives in Bristol, where he walks his greyhound, Peep-Peep. Read a taster here, his winning runner-up entry in the 2009 Observer/Cape/Comica Graphic Short Story Prize. Love can move at the speed of terminal velocity, but as award-winning director Makoto Shinkai reveals in his latest comic, it can only be shared and embraced by those who refuse to see it stop. 566 page one-shot adaptation of his animated movie. Watch an interview with him here. Artist Kevin Nowlan brings the lost Steve Gerber tale to life. From 1974 to 1975, legendary comics scribe Steve Gerber wove a series of macabre tales around one of Marvel’s strangest and most unique creations, the muck monster known as Man-Thing. Following Gerber’s death in 2008, fans mourned the reality that the writer would no longer be able to return to the character for one last story - until now. 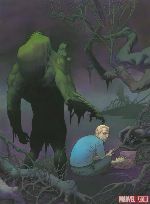 Infernal Man-Thing, a three-issue limited series beginning in June, will present the final Steve Gerber Man-Thing tale, a previously unknown story that until recently remained only a wishful thought in the hearts and minds of his devotees. The new story, ‘Screenplay of the Living Dead Man’, continues in the same narrative vein that the writer tapped so uniquely and successfully in his career. To illustrate such a landmark series, Marvel has brought in the equally-acclaimed Kevin Nowlan. 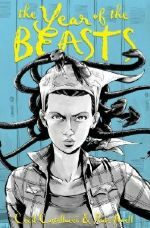 A hardcover graphic novel collection is scheduled for October. See some sample art pages here. I was intrigued. I’d read the story that preceded it, Song-Cry of the Living Dead Man, back in the 70’s and remembered the characters as well as the trippy, stream-of-consciousness narrative. Later, Steve said he was disappointed in the ending and wanted to go back and conclude the story as he’d originally intended. I think that’s what inspired this story. As a reader, I assumed he was writing about his own inner, emotional life. He found all those wildly creative techniques for making his ideas work in the context of a ‘horror’ story. I don’t think there was anything comparable at the time; at least not in comics. We had super-heroics and soap opera and mystery and monsters, but Gerber was writing those wild, introverted stories about existential angst. The main character’s violent struggle against his own mind is what stands out in Infernal Man-Thing. On the surface, it’s ‘comic’ violence, but it’s painful and grotesque. I don’t want to give away too much because there should still be some surprises for the reader. Smaller details of the protagonist’s life will seem familiar to anyone who knows a little about Steve’s career. There are a few, vaguely autobiographical moments. Some cartoon characters come to life. That’s a Steve Gerber trademark. It is the aftermath of a long war, in a world of constant winter. An intelligence spy from the Resistance - the rabbit, Hardin - steals secret information from a military base of the Regime. His actions set off a chain of events that reverberates through the ranks of both sides, touching everyone from Pavel the crow to Giles the goat, from the highest-ranking officials to the smallest orphaned child. When the snow finally settles, who will be the true patriot and who the true traitor? In this spellbinding, beautifully illustrated anthropomorphic tale, the actions of a spy set off a chain reaction that affects both sides of the struggle, making each animal question their loyalty to their side. Read a preview here and an interview here. At the end of the world, the story begins. 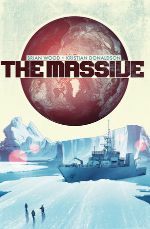 In a post-war, post-crash, post-disaster, post-everything world, the environmental-action trawler Kapital scours the earth’s oceans for its mysteriously missing sistership, The Massive. Captain Callum Israel, a man who has dedicated his life to the ocean, now must ask himself - as our planet dies - what it means to be an environmentalist after the world’s ended. Callum and his crew will come up against pirates, rebels, murderers, and thieves as they struggle to remain noble toward their cause. Can you save a planet that’s already doomed? The perfect follow-up to Wood’s DMZ. Read a preview here. 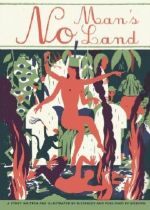 Author of the 2010 New York Times Best Illustrated Children’s Book Seasons (Enchanted Lion Books), Blexbolex’s No Man’s Land satirizes the mind’s ability to seduce itself, mercilessly hurtling its hero around an implausible dreamland designed to mask the processes of mortality. Blexbolex’s first full-length graphic novel is as beautiful as it is disturbing. This book employs Nobrow’s spot colour print process, only used by a handful of publishers worldwide. The artisanal qualities of this method give the books a screenprinted feel that elevates them to another level of quality. Blexbolex is an illustrator and book artist living in Leipzig, Germany. Read more about him here. 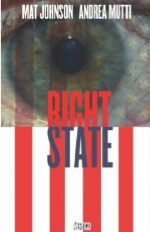 Just in time for the fall election, this race-against-time political thriller follows an ex Special Forces commando who goes undercover with a militia group that’s plotting to assassinate the second African-American President of the U.S. In the week leading up to a major campaign speech, the Secret Service discovers that an extremist militia group is plotting to assassinate America’s second African American President. The best chance to advert this crisis is to infiltrate the group using an ex-Special Forces war hero turned conservative media pundit named Ted Akers. While Aker’s politics make him a hero to the right-wing fringe and no friend to the current Administration, he takes the assignment and what follows is an adrenaline fueled race against time to stop a President from dying and a country from being ripped apart. 152-page hardcover with cover by Nessim Higson. Seventy-five years after he came to life, Superman remains one of America’s most adored and enduring heroes. 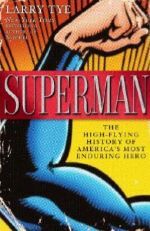 Now Larry Tye, the prize-winning journalist and New York Times bestselling author of Satchel, has written the first full-fledged history not just of the Man of Steel but of the creators, designers, owners, and performers who made him the icon he is today. Legions of fans from Boston to Buenos Aires can recite the story of the child born Kal-El, scion of the doomed planet Krypton, who was rocketed to Earth as an infant, raised by humble Kansas farmers, and rechristened Clark Kent. Known to law-abiders and evildoers alike as Superman, he was destined to become the invincible champion of all that is good and just - and a star in every medium from comic books and comic strips to radio, TV, and film. But behind the high-flying legend lies a true-to-life saga every bit as compelling, one that begins not in the far reaches of outer space but in the middle of America’s heartland. During the depths of the Great Depression, Jerry Siegel was a shy, awkward teenager in Cleveland. Raised on adventure tales and robbed of his father at a young age, Jerry dreamed of a hero for a boy and a world that desperately needed one. Together with neighborhood chum and kindred spirit Joe Shuster, young Siegel conjured a human-sized god who was everything his creators yearned to be: handsome, stalwart, and brave, able to protect the innocent, punish the wicked, save the day, and win the girl. It was on Superman’s muscle-bound back that the comic book and the very idea of the superhero took flight. Tye chronicles the adventures of the men and women who kept Siegel and Shuster’s ‘Man of Tomorrow’ aloft and vitally alive through seven decades and counting. Here are the savvy publishers and visionary writers and artists of comics’ Golden Age who ushered the red-and-blue-clad titan through changing eras and evolving incarnations; and the actors - including George Reeves and Christopher Reeve - who brought the Man of Steel to life on screen, only to succumb themselves to all-too-human tragedy in the mortal world. Here too is the poignant and compelling history of Siegel and Shuster’s lifelong struggle for the recognition and rewards rightly due to the architects of a genuine cultural phenomenon. From two-fisted crimebuster to über-patriot, social crusader to spiritual savior, Superman - perhaps like no other mythical character before or since - has evolved in a way that offers a Rorschach test of his times and our aspirations. In this deftly realized 448-page appreciation, Larry Tye reveals a portrait of America over seventy years through the lens of that otherworldly hero who continues to embody our best selves. Read an interview with Tye here. 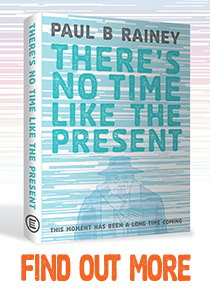 Full-color graphic novel of love and loss from the co-creator of Stigmata and The Raven. When confronted with his girlfriend’s request that they have a child together, Samuel fled that relationship. But now, a year later, when he receives a letter from Alice announcing she is expecting a baby, old emotions flare up and he embarks on a long journey to see Alice again to re-open, or perhaps close forever, that important chapter of his life. The Crackle of the Frost is the story of what he sees, hears, experiences, and learns during that journey. Last year, Fantagraphics presented the extraordinary Stigmata, a stunning display of Mattotti’s whirling, emotional, black and white linework put in the service of a devastating story, as well as his painted illustrations for Lou Reed’s The Raven. The Crackle of the Frost ups the visual ante even on those masterpieces, combining the narrative drive of the former with the lush color illustrations of the latter to create a graphic-novel masterpiece with panel after panel of sumptuous full-color paintings, as if Edward Hopper had suddenly decided to jump into comics. In Chapter Three, the narrative draws to its cataclysmic close in London 2008. The magical child whose ominous coming has been foretold for the past hundred years has now been born and has grown up to claim his dreadful heritage. His promised aeon of unending terror can commence, the world can now be ended starting with North London, and there is no League, extraordinary or otherwise, that now stands in his way. The bitter, intractable war of attrition in Q’umar crawls bloodily to its fifth year, away in Kashmir a Sikh terrorist with a now-nuclear-armed submarine wages a holy war against Islam that might push the whole world into atomic holocaust, and in a London mental institution there’s a patient who insists that she has all the answers. Read a preview here. To tie in with bicentennial of the War of 1812 in the United States and Canada, this 175 page, beautifully colored, hardback graphic novel features a 101-page historically accurate comic strip about a Canadian family caught up in the war and a 64-page summary of the war and its implications for Canada and America, written by acclaimed Canadian military historian Mark Zuehlke, including maps and illustrations. The story follows the Loxleys, a Canadian family living in the Niagara peninsula as they’re torn apart by the American invasion of Canada in 1812, and the subsequent war that raged across both countries as British troops, Canadian militia, and First Nation warriors sought to thwart the expansionist plans of the American government. The story follows the characters through key historical events as they deal with the realities of war on their doorstep, the personal loss, setbacks and victories tied into the conflict. 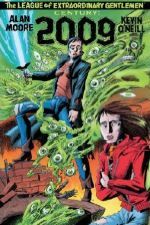 Download The Loxleys and the War of 1812 preview comic in high quality PDF for 99c from Renegade Arts Entertainment store, or find it in the Renegade Arts Entertainment Bookstore App. 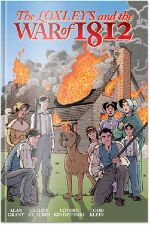 The Loxleys and the War of 1812 is not the first comic to blend history, education and adventure, but it is by far the best that I have ever encountered. A bold experiment in the graphic novel Kristianse’s European Album is newly translated to English by Teddy Kristiansen and Steven T. Seagle. But in a unique flip-novel format, the book is also “re-mixed” with a completely different script devised by Seagle before he collaborated on the translation. Both versions - The Red Diary - a tale of art forgery and World War and The Re[a]d Diary - a tale of identity theft and lost love - comprise this unique graphic novel from Seagle and Kristiansen, the Eisner nominated/winning team behind the acclaimed Vertigo graphic novel It’s a bird…. Read an interview with Seagle here. Every summer the trucks roll in, bringing the carnival and its infinite possibilities to town. This year Tessa and her younger sister Lulu are un-chaperoned and want to be first in line to experience the rides, the food . . . and the boys. Except this summer, jealousy will invade their relationship for the first time, setting in motion a course of events that can only end in tragedy, putting everyone’s love and friendship to the test. 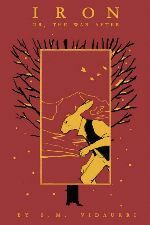 Alternating chapters of prose and comics are interwoven in this extraordinary novel that will break your heart and crack it wide open at the same time. 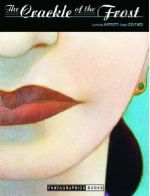 Read an interview with Castellucci here and an early review here.